Hey friends! 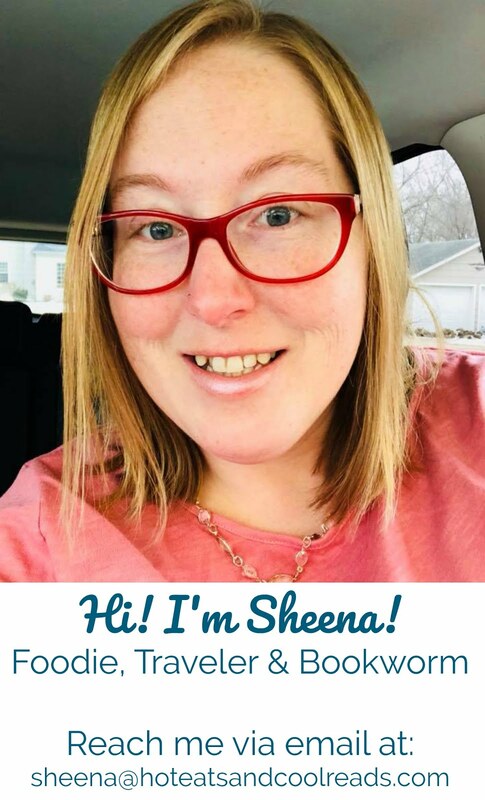 Sheena's sister Shannon here with a recipe that is too good to be true and a restaurant review that I am totally excited to share with you!!!! So a couple months ago, my husband and I decided to take an impromptu overnight trip to downtown Minneapolis. We are so incredibly lucky to have such an amazing city just a short car drive away - so much culture, so much to see and do... and SO many amazing restaurants! 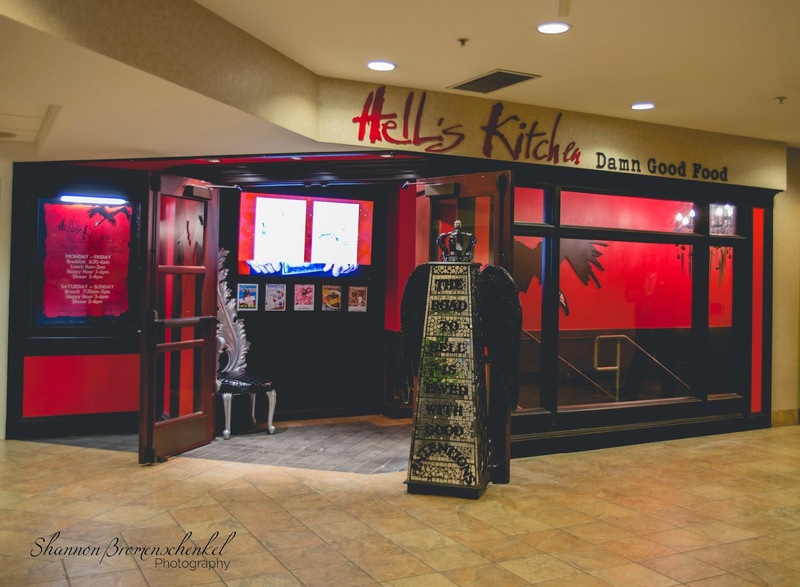 One of the restaurants we visited was Hell's Kitchen. I have to confess, the night before we visited we had decided weren't even going try it because we aren't really into chain restaurants or celebrity chef inspired restaurants, but when we woke up in the morning I was peeking at a city guide in our hotel room and was drawn to a picture of some amazing looking breakfast, and right then we decided we without a doubt had to go to Hell's Kitchen for breakfast! SOOO glad we did... boy would we have totally missed out on something incredible! 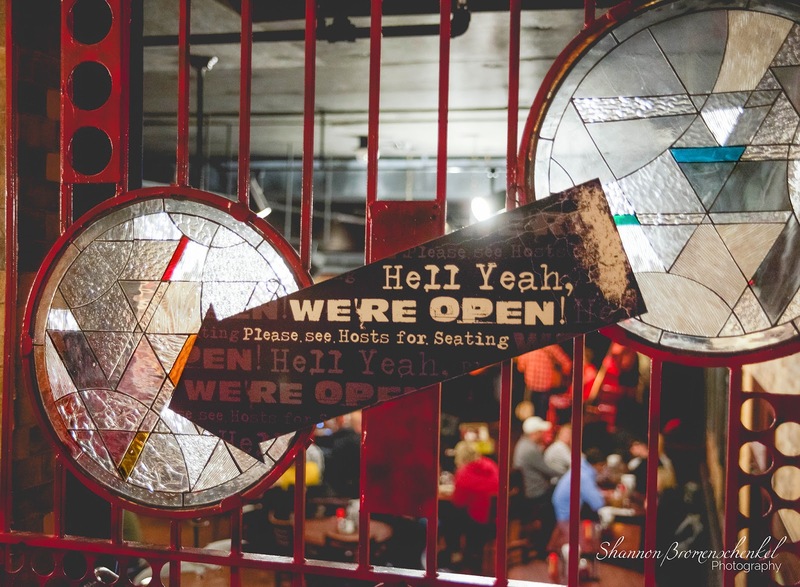 First I'll share a Hell's Kitchen inspired recipe, and then I'll share my review of the restaurant.... so grab a cup of coffee, sit down and enjoy this post! 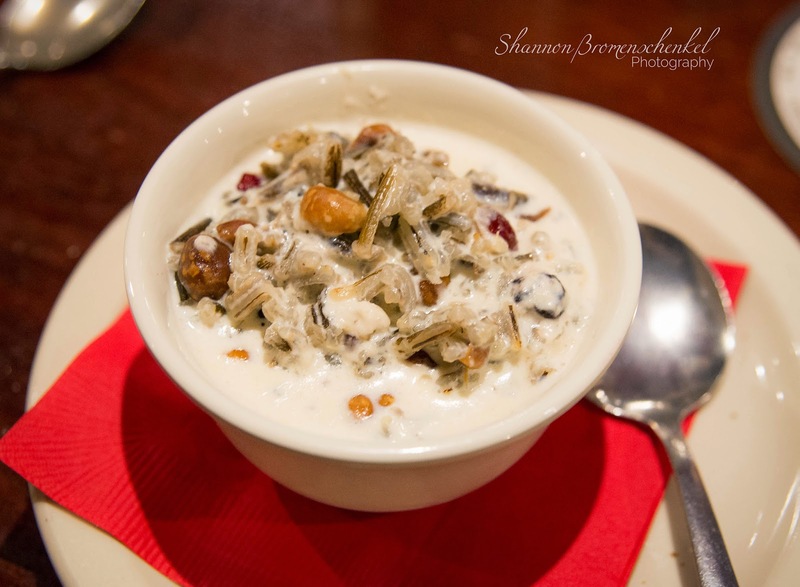 From the Hell's Kitchen menu: "Minnesota Icon: Mahnomin Porridge - Native-harvested, hand-parched wild rice from the Leech Lake Band of Ojibwe simmered with heavy cream, roasted hazelnuts, dried blueberries, sweetened cranberries and pure maple syrup." Combine cooked wild rice, roasted hazelnuts, dried cranberries and maple syrup in saucepan over medium heat. Add heavy whipping cream and stir until heated through. Enjoy! And here is a picture of the porridge I ate at Hell's Kitchen... mine is a bit more brown in color (I am thinking I may have used more maple syrup), but pretty similar!! And definitely tastes just as amazing! Now, onto the restaurant review. Like I said earlier, we ate breakfast there, but their entire menu looked absolutely amazing.... including their beverage menu! Hell's Kitchen is actually in the basement, which I didn't expect. But I suppose it makes sense.... Hell is portrayed as being below us. I expected to walk in the above doors and immediately be in the restaurant. It was kinda of neat because there were other things (a bakery, for one) in this building, and this building has a connector to the IDS Tower, which has a mall and all kinds of things! While the whole restaurant was super cool, one of my favorite things was the knife chandelier above the stairs leading down into the restaurant. Peek a boo.... :) My husband and I. :) He is such a sport while I stop to take photos. 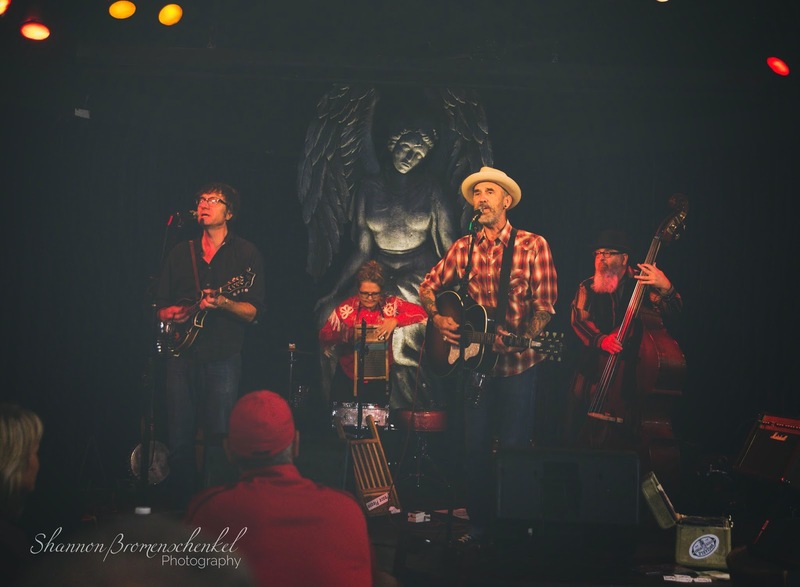 We love to sit at the bar when we go out, unless we are going out for a super special dinner... and the bar area of Hell's Kitchen was super fun with a Americana/Alternative Country band called Bernie King and the Guilty Pleasures! They were pretty amazing! 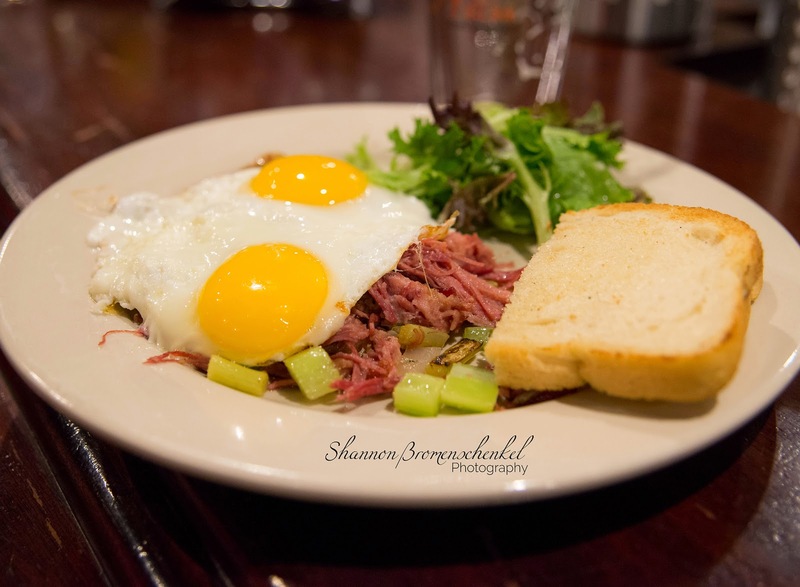 My husband had the Corned Beef Hash and Eggs. "Hand-pulled corned beef brisket with sautéed fingerling potatoes, sweet onions, and crisp celery." And I had the Shrimp & Crab Cake with Poached Egg. 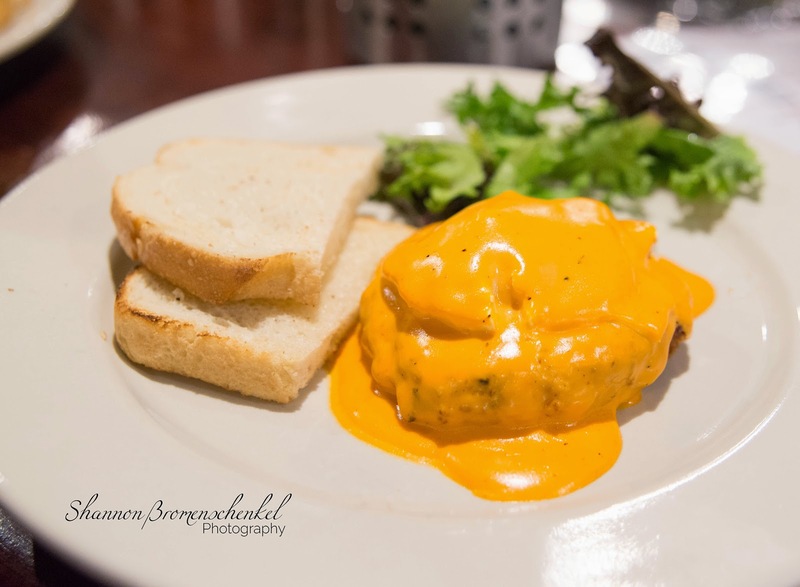 "We only use the finest lump crab meat and chunks of cold-water shrimp to create our crab cake, then we top it with a poached egg and roasted red pepper hollandaise sauce." Both breakfast entrees were absolutely amazing. 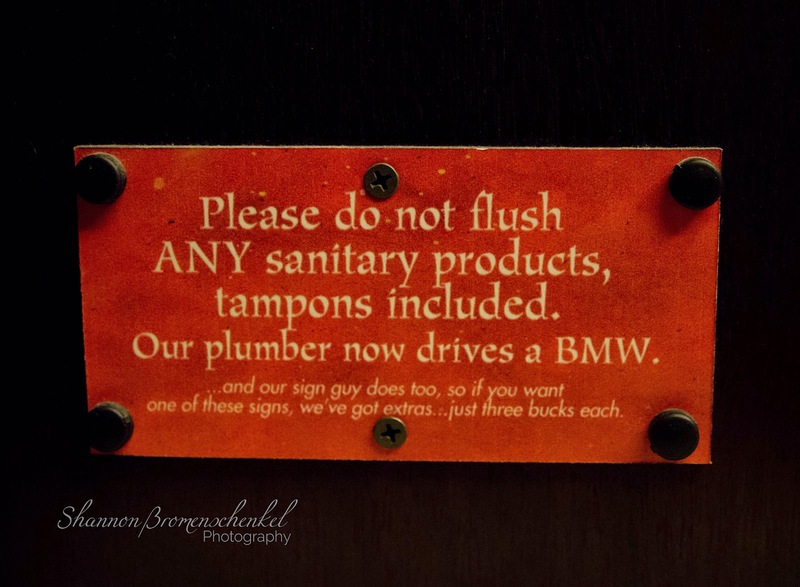 And of course, after having a Bloody Mary and mimosa, I had to visit the bathroom.... even that was fun!!! 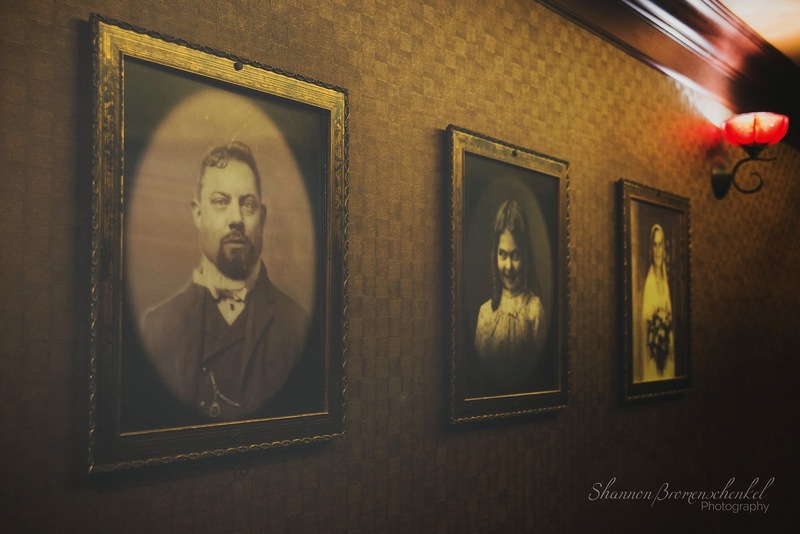 They had those hologram-type pictures on the wall that look nice one minute, and evil the next. I hope you enjoyed this post. 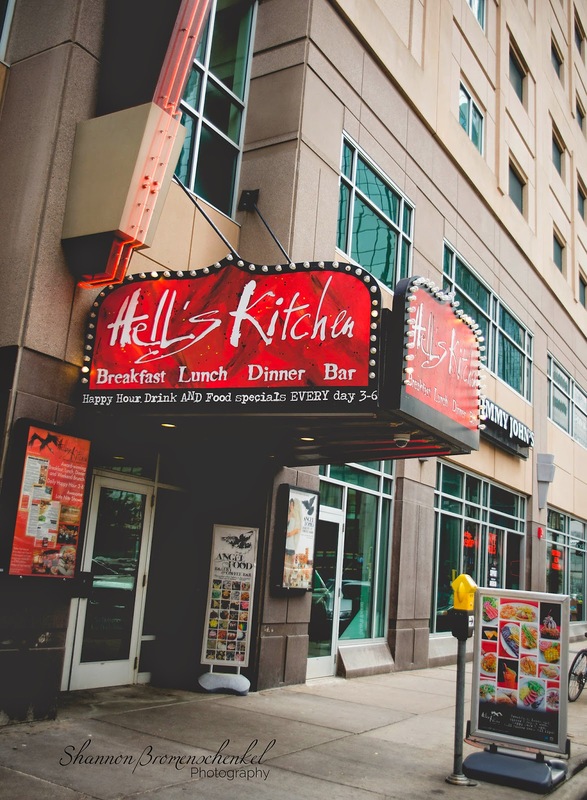 If you ever get to Minneapolis, be sure to stop by Hell's Kitchen... you will be glad you did!!!! I've got to tell you, I probably wouldn't have ordered this. BUT by looking at the ingredients it does sound pretty fabulous! I have never heard of this dish, but after reading what's in it, it sounds delicious. 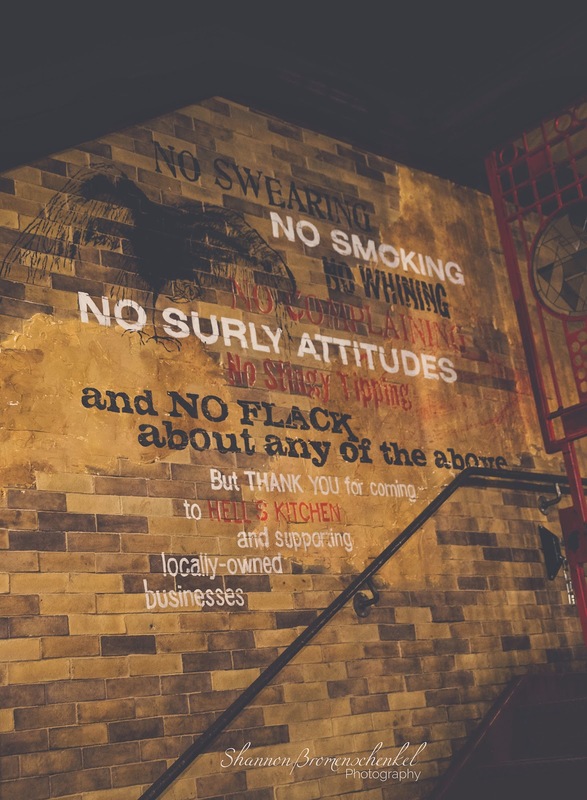 What a super cool restaurant. I'll have to put it on the bucket list. That sounds like quite an experience! I would love to go there. This dish looks amazing! Ha! What a neat experience! 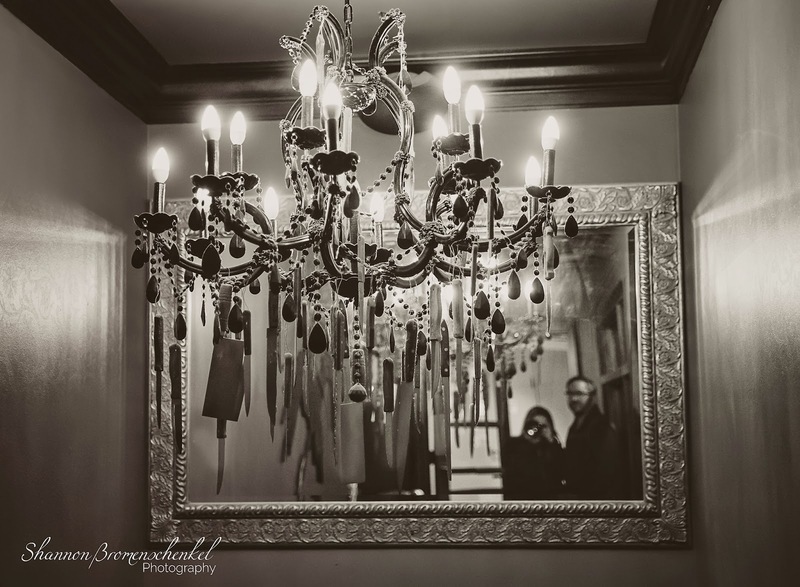 I sure hope that knife chandelier wasn't over a dining table, lol. 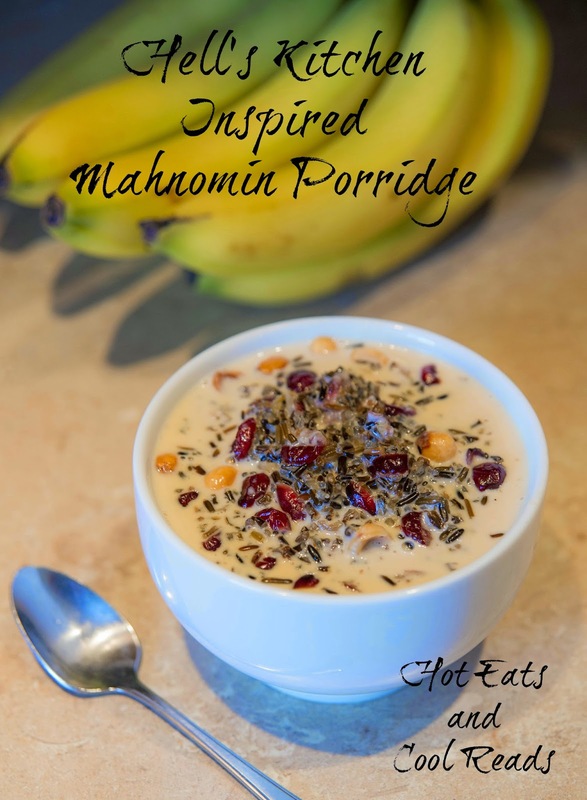 ;) And this porridge sounds so interesting. I had never heard of it before! How cool. Sounds like a lot of fun. I would love to visit Hell's Kitchen one of these days. The breakfast is making my hungry for sure. Totally intrigued by this recipe. I would never thought to eat wild rice for breakfast, but this sounds great! That looks like a very cool restaurant!